What Is a Chatbot And Why Does My Website Need One? Affordable website design and technology is continually being developed to further improve the user experience. In light of this, chatbots have become a must-have element of great, user-friendly website design. Chances are you’ve encountered chatbots on other websites where they serve as convenient CR representatives who help users do what they need to do. 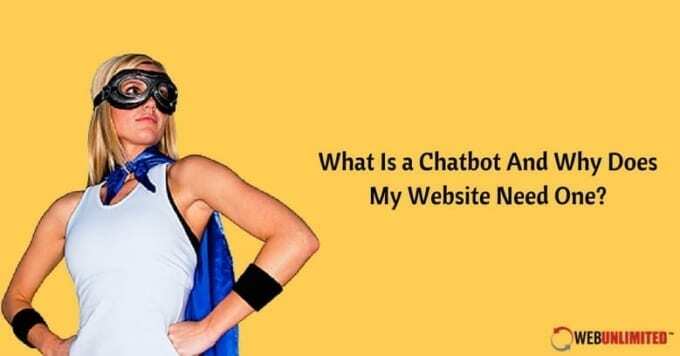 When professional website design experts add a chatbot to your website, you gain important benefits that will help your users and ultimately increase your sales. A chatbot is an online program that simulates a conversation between a user and the website design. They are the chat boxes that pop up on many sites while you are browsing and ask if you need assistance. A chatbot included in a professional website design gives viewers the immediate assistance they may need to keep customers interested and facilitate sales. Chatbots, when incorporated into affordable website design, function by determining the user’s problem, attempting to solve it on its own, and then transferring that request to a live representative who can help when the bot is unable to guide the user on its own. Because they use AI to understand conversational queries and work automatically based on preset actions performed by the user, it’s not necessary to have actual employees watching the chat until the bot alerts that someone needs further help. Why Does Your Website Design Need a Chatbot? 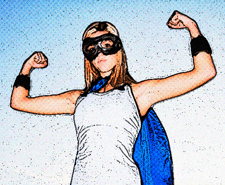 Providing a more immediate, personal, and customized experience for your users 24/7. Cost-effectively improving your online customer service and increase user engagement with an affordable website design. Being less expensive, easier to implement in a professional website design, and have fewer privacy concerns than developing an actual messaging app. Automatically helping with FAQ’s, user surveys, customer checkout, and other website functions. Sending push notifications and can be monetized in a variety of ways. Reducing your labor costs by automating many functions, interacting with users using AI, and reducing the amount of time that live representatives need to interact with website users. Being more widely accepted than apps because the user is not required to download anything. Increasing customer loyalty and producing higher retention than apps because chatbots are always available. Allowing you to keep up with technological so your company is seen as a reputable business and valid competitor in your market. Regardless of whether your business sells a product or offers a service, there are two important factors that can increase these sales: a user-friendly website design and great customer service. Professional website design that implements chatbots can help your site meet both of these needs. Easily added to any affordable website design, no business website should be without an intelligent chatbot to serve you and your customers! Want Great Website Design In College Station TX? Get Affordable, Professional Website Design From Web Unlimited!